The Bridges Golf Academy will be offering a full slate of instruction options including the PGA endorsed GET READY GOLF program designed for the beginner golfer. An After School Junior Program, Junior Golf Camps, Ladies Group Lessons, Friends Group Lessons, and Individual Lessons are all offered at the Bridges Golf Academy. Learning the game of golf should be fun, not frustrating. At Bridges Golf Academy, we make sure that your golf lessons are geared to your abilities, based on where you are now and what your short- and long-term goals are. Our PGA of Canada Golf Professionals invite you to tap into their expertise and be astounded at how fast you excel at the game. Who do we teach? Everyone. Regardless of how long you have been golfing, call us and we can help you progress. Are you ready to improve your game? Bridges Golf Academy has a golf program to fit your needs. 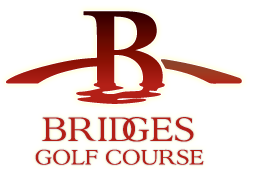 Please contact Larry Robinson for all information on the Bridges Golf Academy. "Teaching students how to have fun is our top priority. The golf skills will follow"
"We all have different physical limitations, levels of coordination and levels of development. To try and teach all golfers one swing model does not work. Golfers need to understand the fundamentals and how to balance them with their individual abilities"
Larry has 40 years of experience in studying and teaching the game of golf. He has taught many thousands of golfers in our province, from the brand new golfer to the seasoned veteran. Larry's influences stem from Ben Hogan's teachings and were further nurtured by the late George Knudson as well as Hank Haney (who Larry had the privilege of working with on a number of occasions way back in the 80's, before Hank became famous). These three professionals have had a very profound influence on his teaching. Larry's friendly manner allows the student to relax and learn, as he says "I'm just a golfer too, I have the same fears and joys that come with the game as we all have". For more information, or to book a lesson, please contact Larry at 735-3000 ext 2, or via email at bridgesgolfcourse@mymts.net. For more information, or to book a lesson, please contact Corey at 735-3000 ext 1, or via email at proshop@bridgesgolfcourse.com.